In two decades of e-commerce in the US, we have produced only two standalone e-commerce companies of meaningful enterprise value: Amazon and eBay. One went public in 1997, the other in 1998. We haven’t had an IPO of an e-commerce company that has gotten to a two billion of market cap in fifteen years, let alone double digit billions. The problem with e-commerce is that the joy of the consumer experience, extraordinary top-line growth, and market share theft are not yet met by strong business fundamentals for standalone e-commerce players. If you’re selling other people’s brands, you are competing not via a local group of competitors but with everyone. In this type of market, you might imagine having one large national winner. You might imagine that winner is ruthless about scale and cost, and is run by a visionary leader who with an extreme long-term focus. Such a company might not make real money for a long time — but when it does — it will be incredibly powerful. Such a company might also be smart about acquiring competitors who, when they reach scale, become a threat. Such a company might leverage an exceptional loyalty program to further share of wallet with customers, taking advantage of operating leverage in distribution. Such a company can be expected to move from vertical to vertical, leveraging that growing share of wallet, to become the nation’s biggest store. It is called Amazon. Its loyalty program is called Amazon Prime where you pay to spend more with Amazon. It has moved over two decades from books to hard goods to soft lines. It has diversified into a technology business, Amazon Web Services, to further the moat around its core e-commerce asset. I’m not a stock picker, but I’m long Amazon, very long, and believe that it’s inevitable that as e-commerce steals share from traditional retail, Amazon will pass Wal-Mart as our nation’s biggest retailer. Only two start-ups have properly challenged Amazon over the past decade: Zappos and Diapers. Amazon, shrewdly, acquired them both. Both companies faced long roads to generating profits in the ferocious low-cost game of competing with Amazon, and both decided if you can’t beat ‘em, join ‘em. Having spent time with Tony Hsieh and Alfred Lin, the leadership duo who built Zappos, and Marc Lore and Vinit Bharara, the founders of Diapers, I can tell you: these are intense competitors who recognized the best outcome was to join forces with the industry leader. So if Amazon is the low cost winner of selling brands online, if they are acquiring their best competitors, and if their everyday low prices are available to the entire country via a mechanical turk algorithm which is guaranteed to beat you, how do you compete? eBay competes by being the leading peer-to-peer selling site, which is a different business than Amazon’s, and by having made a very, very smart (and lucky?) acquisition called PayPal. For everyone else, the answer is you don’t compete with Amazon in the low-cost selling of third-party brands, because you can’t. The downward pressure on your gross margin combined with operating at a fraction of Amazon’s scale means you won’t get past being niche. Said differently, if your business is standalone e-commerce selling third-party brands, good luck. You can’t generate enough operating profit to scale beyond getting noticed, counter-attacked, and at best acquired. You are forced into stay right where you are. I couldn’t sleep last night in advance of an early flight out of Stockholm, so I did something I often do when I can’t: I watched videos of grizzly bear attacks on YouTube. I love how fierce grizzlies are, and how fearless they can be. 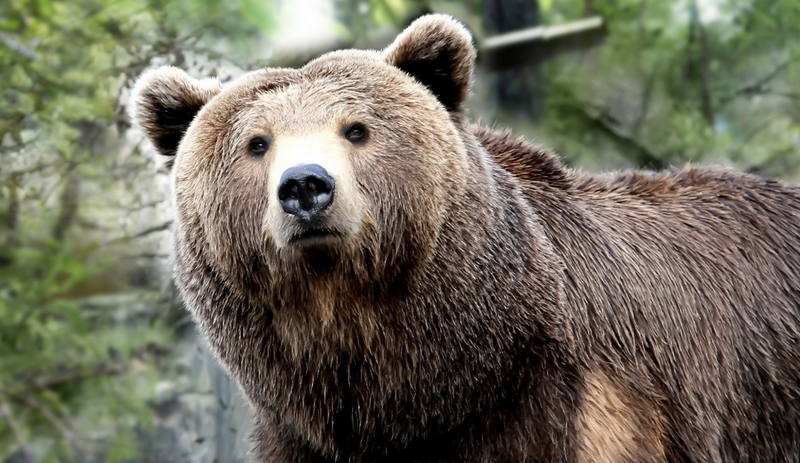 When a grizzly sinks its teeth into you it shakes you, mercilessly, until you’re subdued. See this video, not for the faint of heart.When it knows your dying, it stops and conserves energy while you die so it can relax before feeding. I don’t love Amazon the way I love grizzly bears and other apex predators, but I sure do respect them. There is much to admire about the company: the tenacity to go for it all, Grove-like paranoia about competition, the discipline to thoughtfully time when they push the frontier, and sheer ferociousness as competitors. They put firms out of business, old-school style. Outside of not showing a little more leadership on the inevitable erosion of their sales tax advantage, I admire them. Bezos endured ridicule in the early innings from Wall Street. Now he is at the helm of what could become the world’s biggest retailer. Amazon is the kind of company that could have a century-long run. While I often hear people complaining about Amazon, I think it is instructive that it is rarely consumers who are doing the complaining. With the grizzly bear in the room, what should everyone else do: give up? Hell no, this is America. We’re capitalists and we’re fighters, and today’s David is tomorrow’s Goliath. I observe four strategies in the marketplace to deal with Amazon’s incumbency: proprietary pricing, proprietary selection, proprietary experience, and proprietary merchandise. Proprietary pricing is what created the flash sale industry. By temporally offering exclusive access to a better price, an e-commerce player can grow extremely quickly. Price is a powerful motivator, and temporary price breaks are the single best way to drive conversion online. Just look at Cyber Monday. When I got to New York in 2007 as founding CEO of Bonobos, many people asked me if I’d heard of Gilt Groupe. I said no. Next thing I knew they had five hundred employees. Their rise is well documented as they’re one of the largest e-commerce 2.0 players in the US. One of the shrewdest people in the flash sale space is Adam Bernhard from HauteLook, who grew his business thoughtfully and sold it to Nordstrom. Thrillist acquired JackThreads and I remember sitting with Ben Lerer just after they closed the deal and marveling at his ingenuity: he is among the first to marry content and commerce. RueLaLa has already transacted twice and is now in the hands of the extremely capable Michael Rubin, the GSI founder whose company Fanatics is an e-commerce juggernaut. It will be fascinating to see what happens with remaining standalone flash sale players like Gilt, Fab, Zulily, One King’s Lane, and Ideeli. My guess is many of them attach to full-price e-commerce businesses, either of their own creation or through M&A. Others still may diversify into proprietary merchandise or perhaps even move offline to get out of the difficult game of standalone off-price e-commerce. Proprietary selection is a strategy about being narrow and deep for a particular audience. It’s a cousin of proprietary merchandise because it is all about assortment, though the merchandise in this case is largely third-party brands. While the merchandise is not exclusive, it can feel exclusive for three reasons: the depth of the assortment, the difficulty in finding the products elsewhere either online or offline, and the power of their communities. Though the brands may be available elsewhere, they are not featured anywhere else in such a coherently beautiful and communally addictive way. Two of my favorite companies in this category are ModCloth and Nastygal. Susan Koger and Sophia Amoruso could not be more different, but they have one thing in common: they are both extraordinary merchant-founders who know their customers as well as anyone.While these proprietary selection communities are presently multi-brand with third-party brands, they feel so much like brands themselves that my bet is they evolve strong proprietary merchandise house labels over time such that the line blurs. E-commerce also creates new models that didn’t make sense before. Take a subscription shoe-commerce sites like JustFab and ShoeDazzle, the fantastic beauty discovery platform Birchbox, and the luxurious dress experience Rent the Runway, or celebrity-influenced commerce like BeachMint. There is some overlap here with other categories. Birchbox offers narrow and deep selection of other brands, and so it could go in the previous bucket. ShoeDazzle sells their own label – so it could fall into the next bucket. While these companies are rapidly evolving, they all were founded with a premise of repeat delight via e-commerce at their core. Proprietary merchandise is when a company builds its own brand with e-commerce as its core channel. By offering goods which are not available anywhere else, customers have to buy them directly from the brand. In this way, you own your own margin and you don’t have to compete with other sites selling your brand. This is the core of the strategy of players like Bonobos in menswear and Warby Parker in eyewear. As I’ve spent the last six years of my life pursuing this strategy, I have a lot to say about it. Suffice it to say that I’m extremely long this business model, it is my life’s work, and that the only “issue” with it is it takes time to build a brand. At the end of the day, you’re not building an e-commerce company, you’re building a brand that has e-commerce as its core distribution channel. The difference is subtle but momentous. So with all of these insurgency strategies, where are the IPOs? They may be coming. But if they’re coming, they’re going to take longer to percolate. In the e-commerce 2.0 model, there is a significant difference from the Amazon — Zappos — Diapers era of e-commerce: you can’t scale simply by adding more and more SKUs. You can’t grow at 5x year-on-year, at least not for very long. Said differently, you can’t run from a grizzly. It’s too fast. You can’t beat it at it’s own game. This next generation of e-commerce companies is as much about what you exclude as what you include. It is a paradox that excluding some things takes more time than including everything. The new models are fundamentally — whether the merchandise is proprietary or not — about merchandising. That difference, with merchandising at the core (e-commerce 2.0) vs. scale at the core (e-commerce 1.0), produces bad incentives if you try to grow too fast. Throw in excess capital and what you’ll get is what you’ll usually get when there is extra cash and nothing productive to do with it: heavy drug use. The entire e-commerce P&L is architected to make it almost impossible for you to generate EBITDA. Between gross revenue and net revenue, you typically have a meaningful returns line item. Then to get to your gross margin, you either are selling other brands which is a tough and thinner margin business or you are building your own vertical brand, where the margin can be terrific at scale but is offset in the early innings by increased team and marketing costs to generate that brand. Either way, after subtracting cost of goods sold, now you’re at gross margin dollars. Right? Wrong. At a traditional retailer, you’d be at gross margin. At a standalone e-commerce company, you’re only at what we call product margin, because you have to net out your (often meaningful) free shipping incentive to your customers to get to gross margin. Increasingly this is free shipping one or both ways. Your gross margin isn’t really your contribution margin. You’ve got a host of variable to semi-variable SG&A expenses that are fundamental to doing e-commerce that are typically accounted for in SG&A. The cost of photography, merchant processing fees, customer service (being good at this is price of entry in e-commerce these days), and the non-freight cost of fulfillment, either through your own warehouse or a third-party logistics provider. Now it’s time to subtract your marketing spend to get to your true contribution margin. Gross revenue - Returns = Net revenue - COGS = Product margin - Free shipping one or both ways = Gross margin - Customer service - Merchant processing fees - Photography - Non-shipping cost of fulfillment - E-commerce operations = Sort of contribution margin - Marketing & promotions = True contribution margin. Okay now you’re at true contribution margin. To make money this contribution margin has to more than cover the cost of your payroll. And your team is expensive, because you have three teams: a brand team, a service team, and a technology team. You’re building not just a merchandising engine, but a distribution channel as well. If you want to really make money doing this, the ticker you need is AMZN. Even at a huge scale, people will accuse you of not being that profitable. Zappos is often given as an example of why e-commerce is awesome. Zappos was awesome for consumers. From what I’ve heard, and I can’t confirm this, at the time of the sale Zappos was generating about $10 million of EBITDA on $1 billion of gross revenue. Assume net revenues were in the $650 million range (~35% return rate), and you have 2% EBITDA margins. The sale of Zappos to Amazon happened because it had to: it wasn’t a company that was generating enough EBITDA margin to be a viable public company. It didn’t have to happen right then or to Amazon as the buyer, but barring a radical change to the financial reality of that business, it had to happen. The amazing thing about Zappos, and I admire the experience a great deal, is it proved that consumers will transact soft goods online. In so doing it set the gold standard for the return policies, shipping incentives, and customer service quality required to sell apparel and footwear over the web. When we launched Bonobos in 2007, Zappos was an inspiration for why we thought we could build a brand with e-commerce at its core. If Zappos can sell other brands online, why can’t we build our own brand online? The irony is that all these other businesses ended up emulating a company consumers loved but which remained financially non-viable for a public offering. The world of finance never got a proper look at Zappos because it couldn’t get out. Nevertheless a lot of multi-channel players and new standalone entrants tanked profitability in their own e-commerce channels because they had to follow suit to this gold standard. Meanwhile Zappos got a great exit to Amazon because of how long-term Amazon thinks, even though it was a customer service asset they were acquiring, not a financial asset. Like Diapers who followed in their footsteps, Zappos pursued a business model whose legacy reverberates for people trying to build standalone e-commerce P&Ls. Yet neither of those two P&Ls now standalone. Instead, Zappos and Diapers stand, like two grizzly bear cubs, shoulder to shoulder with the most fearsome mother grizzly on the planet. E-commerce is great. Only three problems: no IPOs, no M&A, no EBITDA. We’re on the record as saying that we’ve raised the last capital we need to get to profitability. The irony is a big part of how we’re getting there is by exiting standalone e-commerce. In 2003 I went backcountry camping in Alaska. Bears are everywhere up there, and you feel more alive because of it. We took out some sea kayaks one day, and we had a guide who was in his early 20s. A med student as I recall. I asked him if he’d seen any grizzlies. He laughed and said all the time, and then told me a story. One day I parked my kayak on a rocky beach to take a leak. The next thing I heard was what sounded like a child screaming. Out of the bush pops a grizzly bear cub, less than a year old. It sees me and starts screaming out of sheer terror at presumably its first sight of a human. At that point I knew I’d probably die. I cut off my stream mid-stream, sprinted toward the kayak, and rather than take the time to get in, simply dove on it and started paddling like a surfer. Sure enough I look back to see a mama grizzly in a full charge coming after me, a sheer blur of acceleration and a surreal moment of zen terror where I thought my life was ending. I turned back ahead, braced myself to get slammed off the kayak, and paddled furiously. The impact never came. When I looked back a second time, she was standing at the water’s edge, not swimming, and just snarling and bellowing at me. Had she been swimming I don’t think I would have ever met him.